My husband and I began our journey 11 years ago. We had just added a new baby to our family and the house we lived in was getting quite snug. We wanted our children to grow up in the country and to know where their food came from. 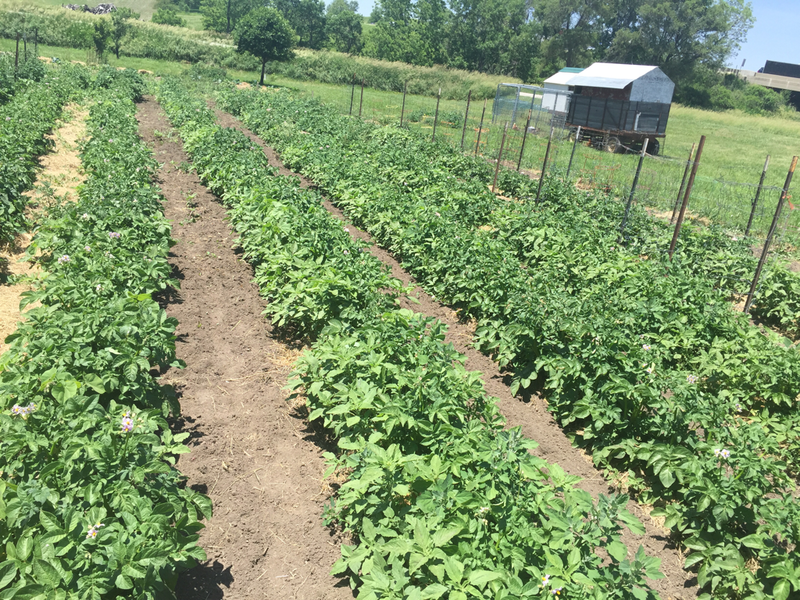 We wanted them to be a part of the whole process from planting, watering, harvesting, and of course eating. We purchased a property with just under 3 acres and moved in the dead of winter. The first summer we focused on getting the infrastructure up and going. (Coops, temporary fences, shelter...) The second year we worked on planting things that would come back year after year. (Fruit trees, asparagus, rhubarb...) Each year we continue to add things that our family likes and eats on a regular basis. All 8 of us have our jobs and roles. We love the hard work and time spent together. We know that this is just the beginning and can't wait to see what the future has in store for us and the land we work.